Alright guys, so now in case you don't know, Infinix Mobility, is one of those very few smart phone companies in Nigeria and in Africa as a whole, that tries to keep their fans and customers up to date, with the latest versions of android system. For examples, in the year 2017, the Infinix Zero 4 smart phone got Android 7.0 Nougat Update all the way down from Android 6.0 Marshmallow which it initially launched with, along with some other Infinix phones that were released within that period, and ehmm fast forward to this year 2018, i think a handful of Infinix phones like the Infinix Zero 5, and the Infinix Note 4 and the Note 4 Pro, they all got an update of Android 8.0 and 8.1 Oreo respectively. So with that, here are some of the Infinix phones that we can say for now will be getting the new Android 9.0 Pie Update when it is finally out for Infinix phones. NOW PLEASE NOTE THAT - As at the time of writing this article and compiling this list, there are no news or rumors whatsoever, neither has Infinix said anything about updating its phones to the latest version of Android, so you should take note that everything written here are just mere speculations and should be taken with a pinch of salt and a little bit of pepper, but we can personally assure you that we are at least 90% sure of every information written down here, so with that, here is the list you all have been waiting for. Now we're not so sure of this one as we are still contemplating if the coming Infinix Zero 6 will launch with the said Android 9.0 Pie out of the box or not. 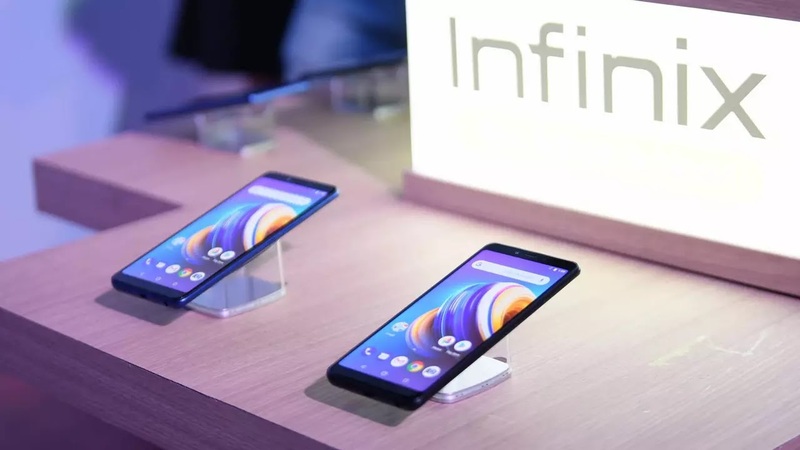 But even if it doesn't launch with it, then it will probably be among the first Infinix phones to get it when it is finally made available for Infinix phones. You can read more about it here.. The finally, we have the last year's Infinix Zero 5 and maybe the Note 4 and Note 4 Pro as well... Still not very sure, but something tells me they might be included.. so let's just keep our fingers crossed and hope for the better..
Read Also - The Infinix Note 5 and Note 5 Stylus are both set and ready to receive their Android 9.0 Pie Beta Update, see how you can be a part of it. Alright everyone, so that's probably much how much we can say for now, but once again, don't forget that all these are just mere speculations and there is no 100% data or information that we can say this was where we got all these from, but as usual, wait, pray and hope that your smart phone is included among those that will be updated.. So with that, tell us what you think in the comments section below, don't forget to share this good information, subscribe to our newsletter for free, and i guess i'll probably see you on the next one.. #Peace. • Infinix's latest XOS 4.0 Honeybee has been officially announced with 12 new cool features. Though Infinix had promised a one time Android version of the Zero 5 from Nougat to Android 8 Oreo by August this year, the update hasn't been released till now. How then could one expect an update of the Zero 5 to Android 9 Pie all the way from 7 when they've not even been faithful to their promise of the Oreo upgrade?